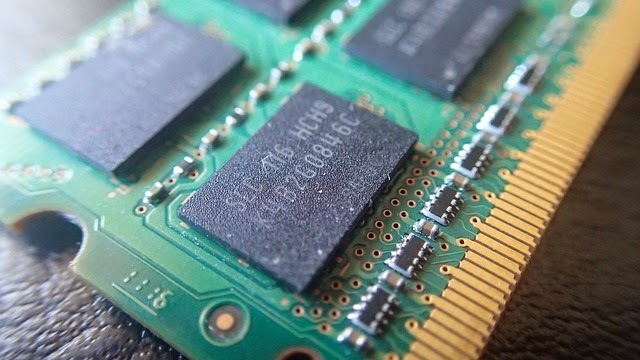 RAM and ROM basically are the hardware on computer that serves as a memory point to accelerate and enable computer work devices to access information. So in essence, all the devices with are operated using computing systems certainly use RAM or ROM, including Android that is on the rise today. Do ROM or RAM just for smartphone like android phone?, as already explained above, these tools are used in devices with are operated using a computing system (always equipped processor - CPU); so whatever the device's; including blackberry, android phone, etc; and windows, linux, etc. using the ROM and RAM. While Android is one of the software product as an OS (Operating System), which is the parent software to operate the system computing on mobile devices developed by Google; function as well as the Windows OS on a computer developed by Microsoft. Back again to RAM and ROM for more. In short, every computer is equipped with a number of physical memory, which actually form a chip for storing data. This memory called Random Access Memory or RAM. RAM itself is part of the computer hardware that aims to keep the operating system application program, the process which can be randomly accessed at this time, ie in the order in accordance with the desire of being run by the user. The data in RAM is temporary, ie during the computer is running, and will be removed again as soon as the computer is turned off. RAM is generally present in a form of a microchip with a different capacity, such as 256MB, 512MB, 1GB, 2GB, etc. Computers are now designed so the RAM can be upgraded or enhanced capacity of up to a certain limit. Meanwhile ROM, referring to the nature of Read Only Memory. Every computer comes with this memory that should control the process when the computer is starting (switched). ROM is memory has data written permanently and can not be reused. However, currently there are several types of memory that can be rewritten similar, called Erasable Programmable Read Only Memory, or EPROM. Usually this is in the form of a CD ROM or Floppy Disks that can load the OS into RAM. RAM stands for Random Access Memory and ROM stands for Read Only Memory. RAM is volatile memory and stored data will be erased when the computer is turned off. ROM is non-volatile memory harware and generally can not be written (Write). RAM serves both the read and write (read and write), while the ROM is only used to read only (read only). To be able to save the information, RAM requires electricity to flow, while the ROM that stores information permanently (there is no electricity or running). RAM can be analogized as a whiteboard, which is where the information can be erased and re-written many times; while the ROM is permanent and can only be to read, can not be erased and written. One example is the system ROM BIOS (Basic Input Output System) runs when the computer is starting (turned on), and prepare a disk drive and processor to load the OS from the hard drive. Thus briefly the fundamental difference between the two computer hardware ROM and RAM, which is also common on smartphones, for example is android phone.